Happy Hump Day everyone! For some reason it always seems like the smallest panels can be the most work. 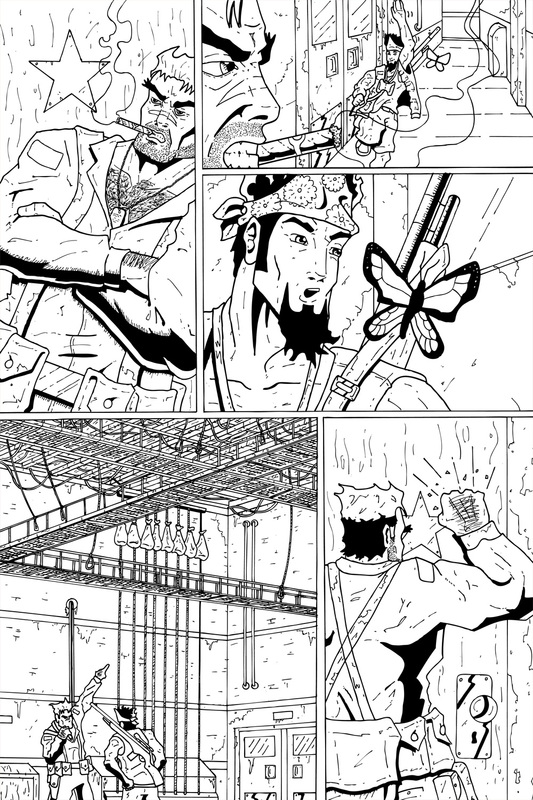 Trying to ink the rafters in panel 4 was a nightmare. Having all those crisscrossing beams, rafters and wires got very complicated very fast. I had to make sure that everything crossed over the way it was supposed to and that items in the background weren’t passing through objects in the foreground. This issue has been all about patience, planning and not rushing. Hopefully you agree the results have been worth it. The Calgary Expo is in 2 days! I can’t tell if I’m more excited or nervous. This is my first appearance at a comic convention so I don’t know what to expect. If you’re in the area be sure to find the Team Stryker booth and say “Hi!” as I’ll have issues 001-003 for sale.